I have been playing a lot of Smite recently. 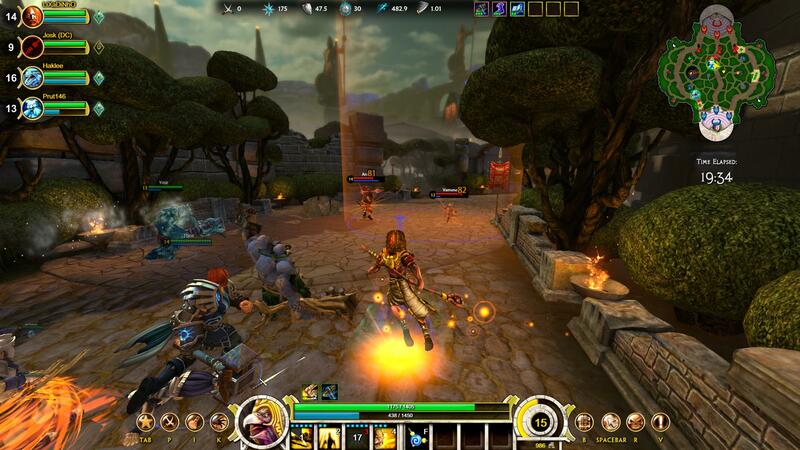 Itâ€™s a third person MOBA game bringing a whole new perspective and gameplay to MOBA. Vision, looking around and positioning becomes even more important. I felt itâ€™s a lot more action-packed than the classical MOBAs (LoL), allowing for early ganks and kills, but also the early game not taking too long until the game gets a lot more dynamic, with people being able to roam across lanes, trying to disturb and initiate team-engagements. You play as a god – gods are available from very different mythologies and religions. The game is fair and seemingly well balanced. Smite is still in beta, but keys are available without much hassle – be it from one of the streamers or viewers on a Smite live-stream, or the subreddit /r/sharesmite, or somewhere else. It will be free to play, and god-unlocks for the style you want to play are not really a problem – itâ€™s doable after an acceptable timespan of playtime. The godpack with the first 30 gods (not all announced yet) is 30 USD / 24 â‚¬, so not that expensive at all.